More than a billion monthly active users, and you are part of this big family. We are obviously talking about WhatsApp. This popular instant messaging application for smartphones, one of the most used all over the world, is now an important part of our lives and we use it every single day of the week for several reasons: to chat with our friends and beloved ones, or to share information with our colleagues. 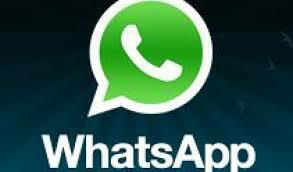 WhatsApp is really easy to use, versatile, completely free, and, above all, it runs on all mobile platforms. WhatsApp developers work hard to keep the service always updated and well functioning, and new versions of the app are often released. The one we are going to talk about today is the new Beta version 2.12.351 for Nokia S60 devices. You can install this latest beta version on Nokia Bella or on Symbian S60 devices. Unfortunately this new update doesn’t introduce any new features (therefore, the Voice Calling feature seems still far to come), but fixes some bugs and issues. This new WhatsApp 2.12.351 Beta version for Nokia devices contains a few changes to the SIS (installation) file that has been increased by 1KB. In addition, 7 files related to libraries and WhatsApp executable file have been modified. As usual, the procedure to install this latest WhatsApp Beta on your Nokia device is quite easy, you just need to follow a few simple steps and have a little bit of patience. The first thing you have to do in order to download beta version 2.12.351 on your device is to uninstall the current WhatsApp from your device. After that open the browser and go to whatsapp.com/nokia, where you’ll find a “Download Now” button. By simply selecting it you will download the SIS file to your Nokia device. Now, once the download is completed, you have to go back to the location where you’ve previously saved the file and select it. At this point you are installing the latest WhatsApp Beta version 2.12.351 on your smartphone.